A bankruptcy court from the Northern District of California recently issued a novel opinion on how Bitcoin applies to bankruptcy proceedings. The question before the court was whether Bitcoin should be treated as a currency or commodity for purposes of the U.S. Bankruptcy Code. It mattered in this case because how much the trustee could recover would change drastically based on the court’s opinion. Many of you are probably wondering what exactly Bitcoin is. 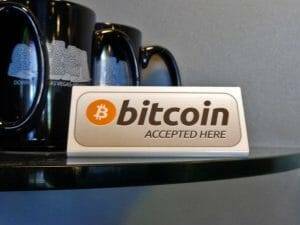 Several years ago, an organization created a new, digital currency called Bitcoin. It is a novel way that participating organizations, stores, and shops could accept payment for goods and services. Bitcoin, like other currencies, was backed by the people accepting it as payment, and as there are a limited number of Bitcoin units created, around 15 million currently in circulation, and eventually there will be 21million available and then no more will be created. Unlike other currencies, Bitcoin is all digital. But like other currencies, its value is really represented by those willing to accept them as payment. The more people accept and use Bitcoin universally, the more valuable it becomes. This has led to volatile values where at one point a Bitcoin could be worth $10, and at another $100. This in essence is what was at issue in this case. The party filing for bankruptcy in this case conducted a Bitcoin transfer of about 3000 bitcoin prior to filing for bankruptcy. At the time that number of Bitcoin was worth about $300,000. But since filing for bankruptcy and going through the legal proceedings, the Bitcoins previously transferred and valued at $300,000 are worth more than $1.6 million. The trustee in the bankruptcy (person in charge of collecting as much as possible for the creditor) argued in court that the Bitcoin transfer should be treated as fraudulent for purposes of the filing, and that the current value of the Bitcoin should be recovered on behalf of the creditors, or over $1.6. On the other side of the argument, the person filing for bankruptcy argued that the court should deem the Bitcoin property, and that the value of the property when transferred should be given back, if the court determined the transfer was fraudulent. In its ruling, the held that the Bitcoin was property, not currency. This is important because now the court has the flexibility in determining what, if anything, should be transferred back to the creditors by the trustee. The court could require the filer to transfer the actual Bitcoin, or pick the value of the Bitcoin at the transfer or some other date, and require that much be transferred. This is important because one can imagine a future date when the Bitcoin was valued at much less after the transfer, and the trustee would be asking for the value of the coin when transferred. At The Bankruptcy Law Center we dedicate our law practice to helping you understand bankruptcy, and be your bankruptcy advocates if it is what is right for you. If you are considering bankruptcy, contact us and let us counsel you. We have several offices located in the San Diego and Los Angeles area. We represent clients in the Counties of Los Angeles, Orange, Riverside, Ventura and San Diego.